Happy Australia Day to all our friends down under! I... can't say that I know much about Australia beyond what Men at Work have told me. But I certainly would like to visit one day. 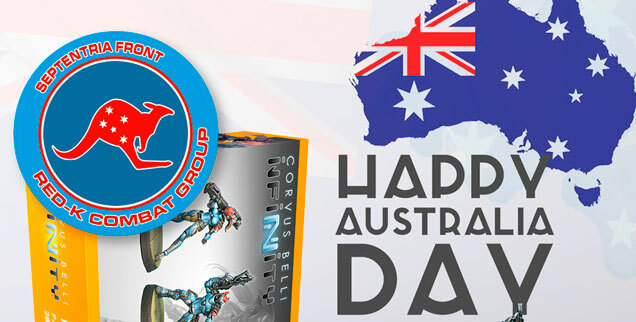 Besides me, Corvus Belli would also like to wish everyone a happy Australia Day. Though they're also having a giveaway with it. You could win a box set of NeoTerra Bolts. All you have to do is go to their contest Facebook post and "Like" it, along with commenting about which of the Bolts you like best and why. Pretty simple and you could end up with free toys. What's not to love? Be quick, though, as they're going to announce the winner tomorrow.